Ames High School, located in Ames, Iowa is committed to ensuring that all learners develop the knowledge, skills, attitudes, values, and personal esteem necessary to grow in and shape a changing society. This project was overseen by the school’s Extended Learning Program, which administers various accelerated learning opportunities for AHS students. 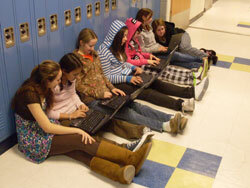 Altogether the Ames High School students archived 16,869,783 URLs. Charleston High School is located in rural east central Illinois and is home to 800 students. Individuals from the Classes of 2010, 2011, 2012, and 2013 were invited to take part in this archiving project to show the diversity of interests, talents and values within the school’s community. Clague Middle School is located in Ann Arbor, Michigan – home of the University of Michigan. Clague serves grades 6-8 and has over 720 students speaking 25 languages. 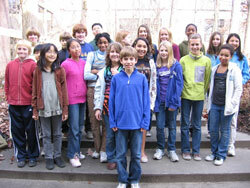 Student participants in the program are self-selected from all grades and meet after school. Eustis High School is located in Eustis, Florida; a residential community located approximately 30 miles northwest of Orlando, Florida. 10th-12th grade students from a web design class and an American History class are participating in this year’s K-12 Web Archiving project. It is our first experience with web archiving, but the students have assumed full responsibility for categorizing and crawling their selected web sites. Approximately 30 students from nine different classes meet bi-weekly to crawl, annotate and monitor the web archiving project. 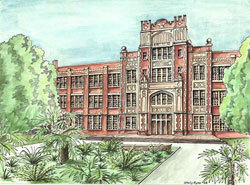 Located in the heart of beautiful of Alexandria, Virginia, Francis C. Hammond Middle School was built in 1956. The K-12 Web Archiving Program is helping Hammond students to better understand how to use primary sources and digital content. The students love the sense of making a lasting contribution to history and appreciate being able to share what they are working on with friends, teachers, and parents. 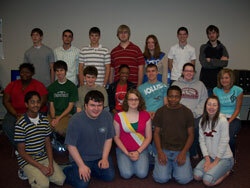 The success of the K-12 Web Archiving Program at Hammond is a true source of pride for the School. Jackie’s Private School is a small private school in Austin, Texas. The school serves students from preschool to 8th grade. Student participants in the K12 program are in a combined 7th and 8th grade class in World Geography and Cultures, and are archiving materials related to that course. Lakeview High School is located in Battle Creek, Michigan and has a student population of over 1300 students. 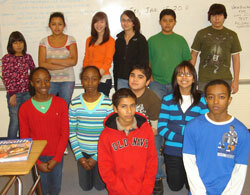 Lakeview is implementing the K12 Archiving Program through its Cultural Literacy classes. While using both primary and secondary sources, these students analyze the cultural impact of the movies, songs, sports, books, etc. at the time, the impact they still have today, and the impact they have on each individual student. By doing this analysis, students are able to develop an understanding of what might be important to researchers studying our culture in the future. We are an ethnically diverse school in one of the most diverse boroughs in the nation: the borough of Queens, New York City. Over 40 languages are spoken and our diversity is our wealth. Because we are so international, we see the Internet as a major part of our lives and we keep in touch with our families that way. 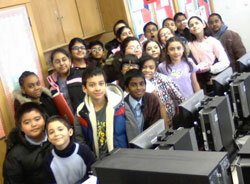 NYC Public School 56’s 5th graders have archived a total of 12,768,796 URLs. 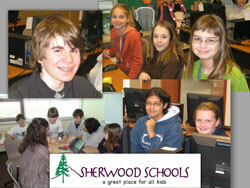 The Sherwood School District in Sherwood, Oregon is located in the Portland Metropolitan Area. Our after school archiving club consists of ten – 6th through 8th grade students from our two middle schools, Sherwood Middle School and Laurel Ridge Middle School. The main selection criteria that was used for choosing web sites is that it be a site that the students find useful, helpful, or just plain fun and one that means something to the particular students. St. Anne’s School of Annapolis is an independent Episcopal school for students in Preschool through Eighth Grade. We are located in the capital of Maryland. 34 Student in the 8th grade Humanities class studied the archiving process. They identified websites that were important in their lives. Once websites were identified, students proposed categories. Four student volunteers selected categories and sites from those submitted, wrote the descriptions and set up the crawls.